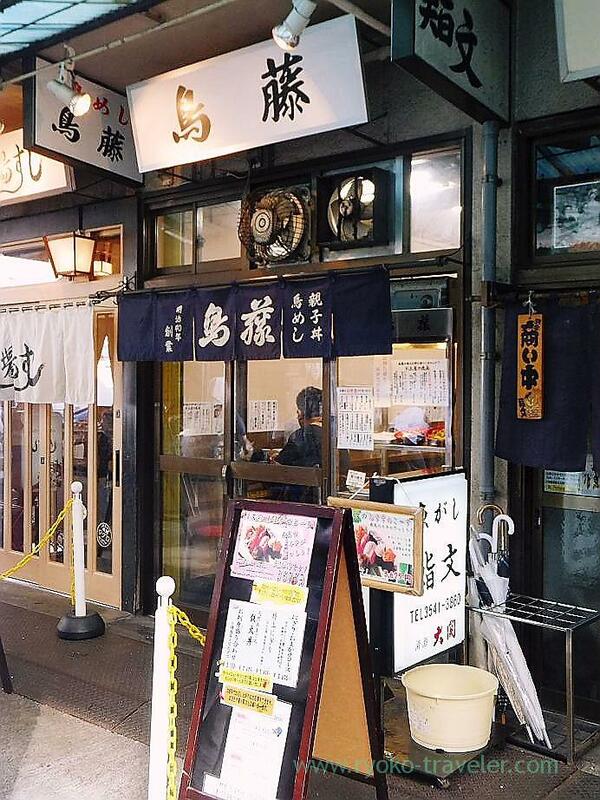 I had breakfast at Tsukiji this morning after a long absense. 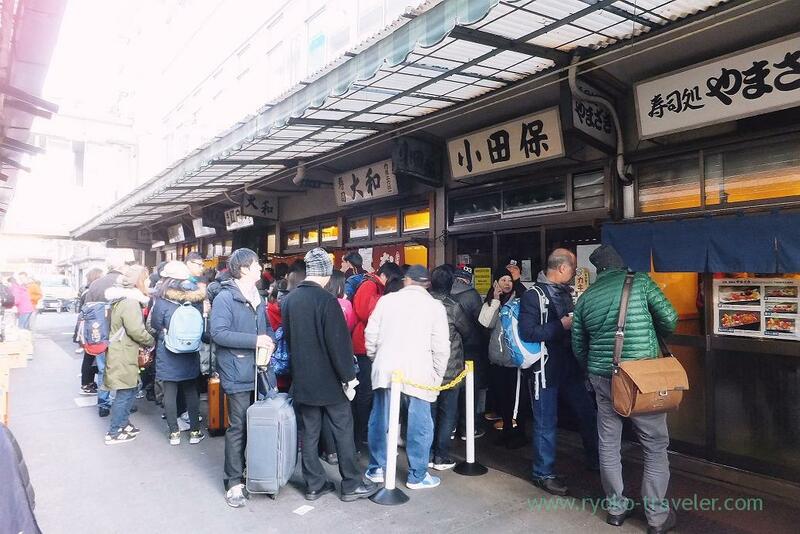 Recently it was very cold, so I couldn’t get up early in the morning for Tsukiji. I decided to eat deep fried Hoplobrotula armata (Higedara in Japanese) at Odayasu when I left home. 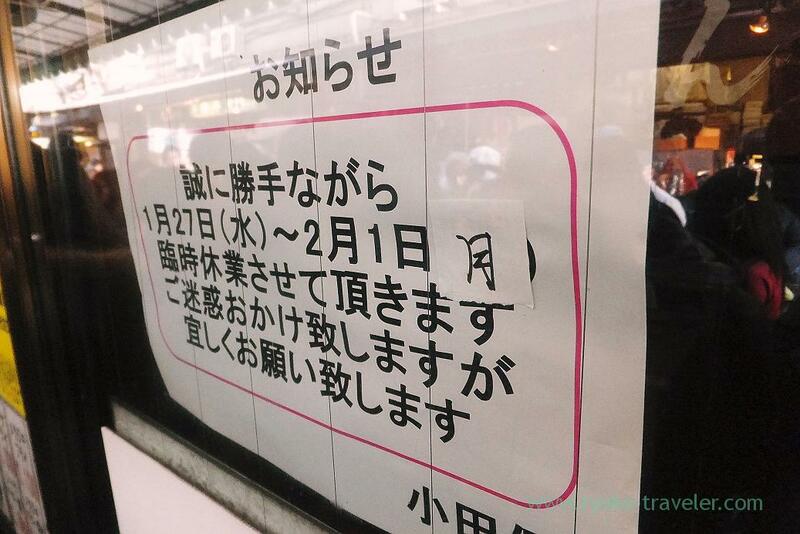 But I found bad news on Twitter on my way to Tsukiji. Oh my ! Temporarily closed ! Until February 1st ! Lots of people waiting for Daiwazushi were in front of Odayasu ! So, I decided to go to Yonehana, but unfortunately, also I heard unpleasant news about Yonehana that day. Today’s chef’s choice is deep fried oysters and white stew. 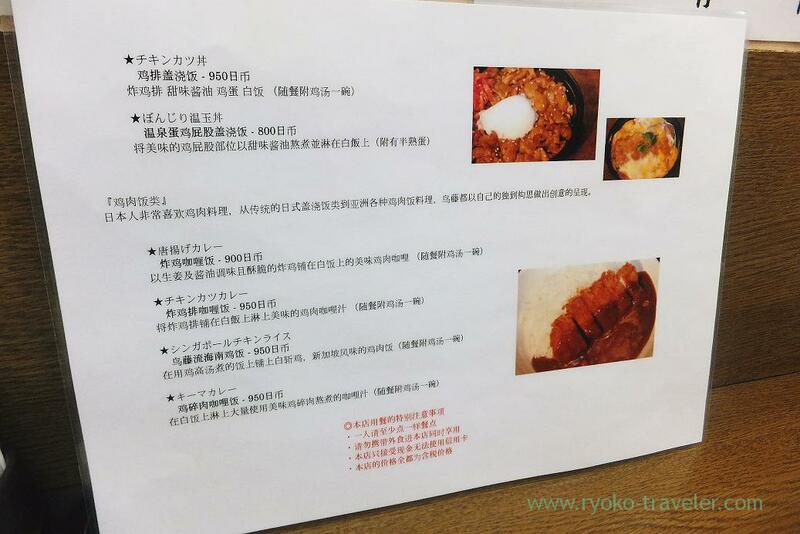 But I wanted to eat deep fried oysters. I thought I should ask them to have miso soup instead of white stew and got to there. When I got to there, I felt chill. And more, There were four ladies waiting in front of the shop. They seemed in one group. While thinking whether I should wait or not, this shop came into my sight. Because of the chill weather, I felt like having this shop’s hot chicken soup. The shop was nearly full because it was cold. But there were enough space to be seated. 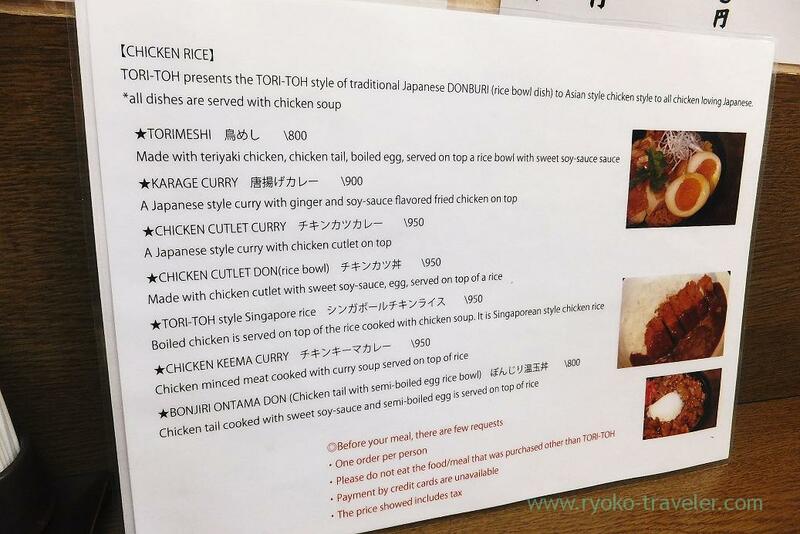 Toritoh made new menus in English and Chinese !!! So, there were some foreign tourists ! Eh ? Toritoh ? Not Torito ? “-” is important ? I couldn’t decide what to eat soon. 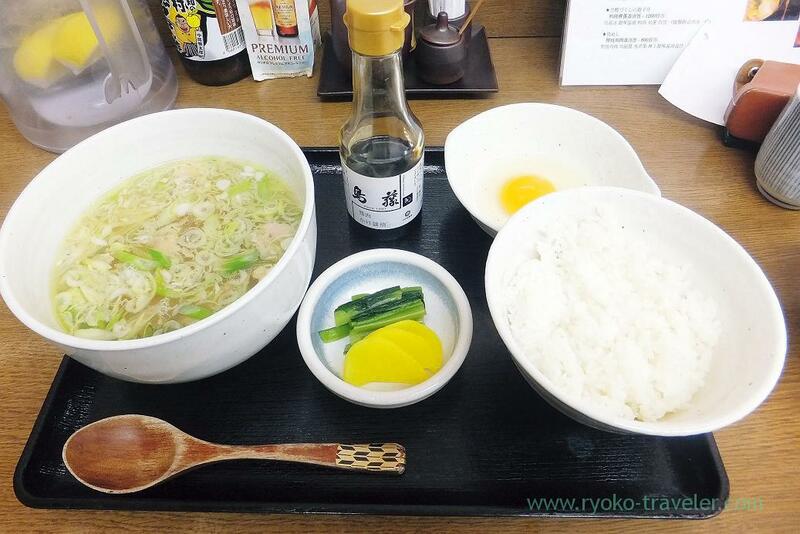 After a while, I ordered Chicken soup and tamagokake gohan set (鶏吸とたまごかけご飯, 700 yen). This was the first time to eat it. Torito’s original soy sauce for chicken and egg ! 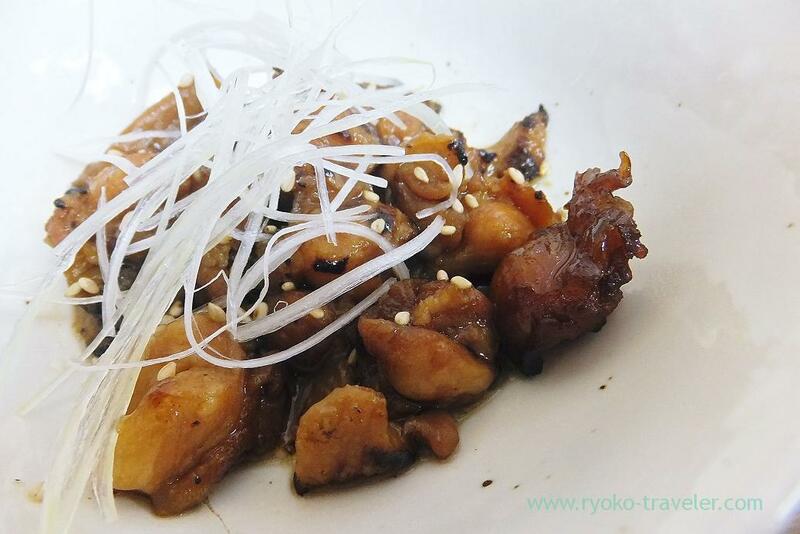 I ordered boiled chicken tail with soy sauce (ぼんじり煮付け, 200 yen) with soy sauce together. This boiled pop’s nose helped me later. Because… the quality of the meat in the soup wasn’t good. Strictly speaking, there’s no extracts. Well, it cost me only 700 yen. Very inexpensive food compared with another foods in Torito. Do you think where the extracts of those chickens meat ? The boiled pop’s nose was fatty and simmered well. Good tastes. 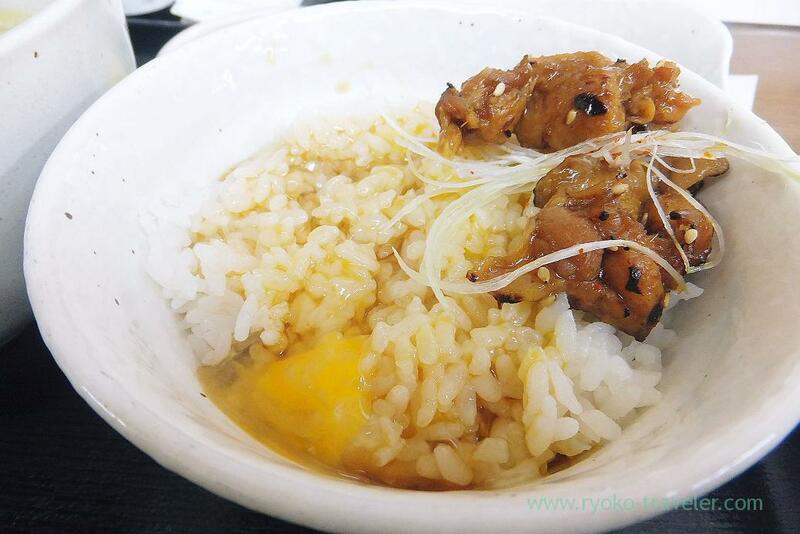 At first, I had some soup, and then beated the egg and put it on the rice. Also I put pop’s nose. 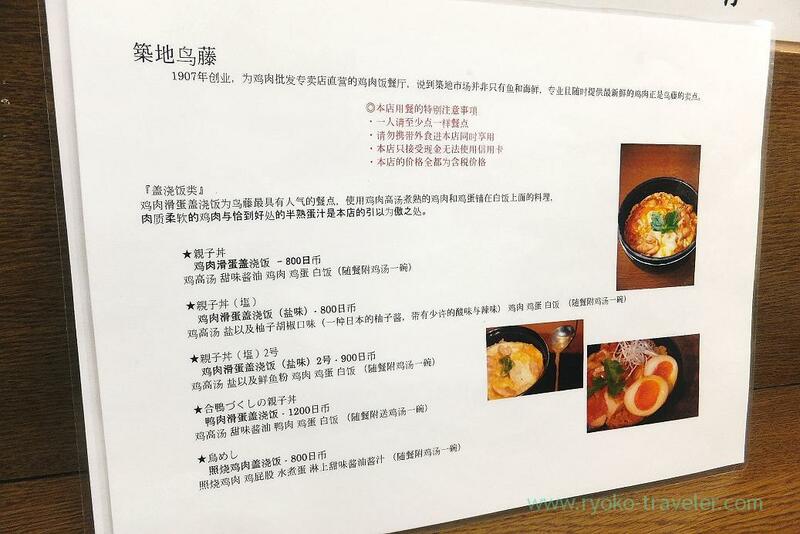 But you should eat some rice with chicken soup at first and then do tamagokake gohan. 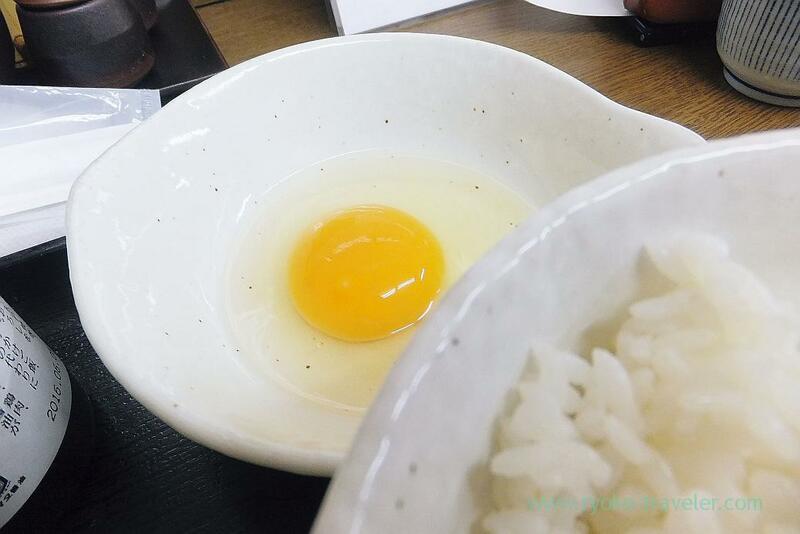 Because they serve much rice and only one egg. After I enjoyed tamagokake gohan, I put some chicken soup into the rice bowl. 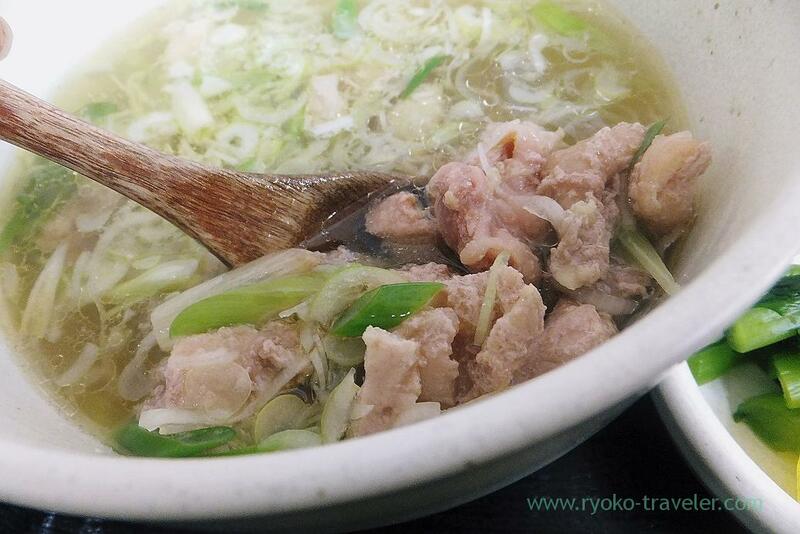 It is the best choice in the morning during cold season ! 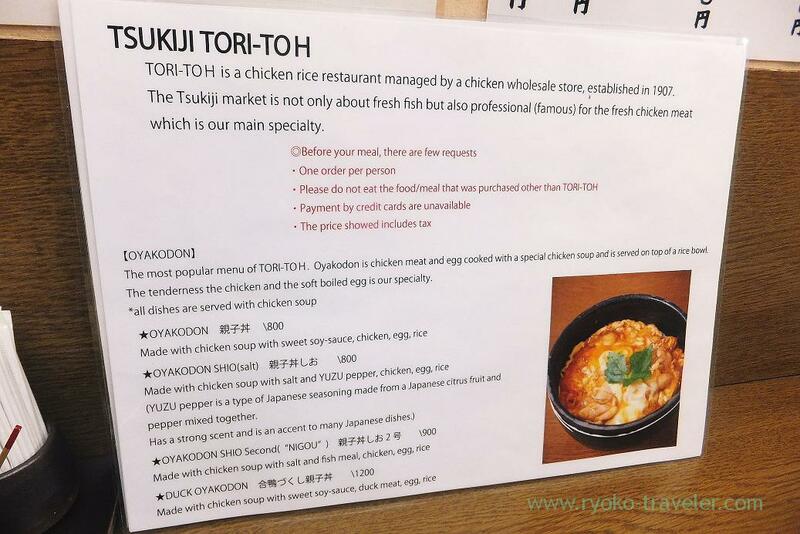 By the way, there’s the word “Kokoro nokori no Oyakodon” on the wall that I ate before. 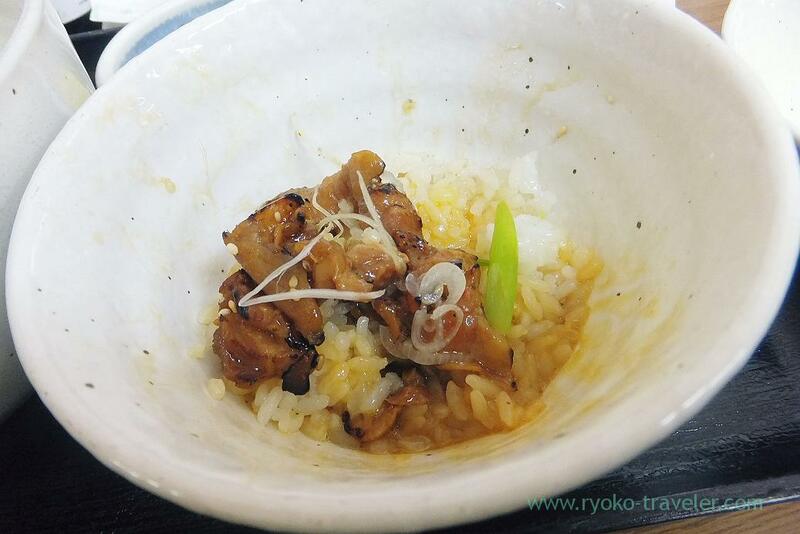 Though it have precious part of the chicken (Joing between hearts and livers) that can be got only a few amounts and it was tasty. So some people entered the shop for eating it and they were disappointed.